The New York Times Travel section put Puglia on its ‘List of Top 52 Places to Go in 2019’. Until recently this gorgeous region found in the heel of Italy’s boot has been relatively unknown. Puglia has not seen the crush of tourism that one finds in Rome, Venice, and Florence. 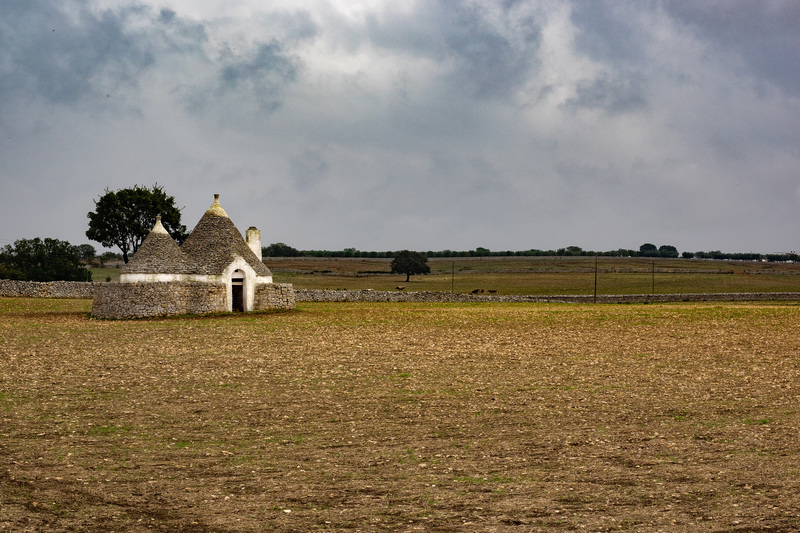 This is slowly beginning to change, as travelers realize that Puglia is a treasure trove of gorgeous hilltop towns; medieval castles; ancient Roman, Turkish and Greek ruins; North African inspired stone houses; Baroque churches; olive orchards; and vineyards. It is also home to some of the most beautiful beaches in Italy. Puglia’s varied and lush panorama serves us with endless photographic opportunities. In this ten-day workshop we will seek to take advantage of every one as we uncover the hidden gems of Puglia. Our first stop will be a beautiful and welcoming villa near the Adriatic coastal town of Polignano a Mare. This idyllic, five-star, boutique accommodation will serve as our base for the next several days as we explore the sun-washed landscape while making unforgettable images of the local villages, such as the white-washed towns of Ostuni, Locorotondo, and the medieval town of Otranto. You will be putting your new photographic skills to use while on our visit to the quaint little fishing town of Savelletri. There we will meet local fishermen and sample some of their delicious seafood. Our tour that day includes a stop with a local cheesemaker who produces burrata, one of the most famous cheeses of Italy. Puglia is famous for its olive oil, so of course we will visit an olive orchard to see how these ancient trees continue to give Puglia and the world some of the finest olive oil. Leaving Polignano a Mare, we visit two UNESCO World Heritage Sites. The first, Alberobello, noted for the famous conical stone houses called ‘trulli’ and then the subterranean city of Matera. Matera, actually in the neighboring region of Bascilicata, is considered one Italy’s oldest settlements, dating from the paleolithic period. This city is famous for its cave-houses in neighborhoods called ‘sassi’. We will have a private tour that will take us through the maze of cobbled streets, narrow stairways, all while we learn a bit Matera’s 9000 years of history. Matera is also wonderful for both sunrise and night photography. We will be doing both from special vantage points to get the most fantastic images. Following Matera, we move to our final base, Southern Italy’s Baroque response to Renaissance Florence, the ornate city of Lecce. Lecce is the capital of the Salento, the very southern part of Italy’s heel. This ancient city is home to Roman and Greek ruins, the stunningly beautiful Baroque Basilica Santa Croce with its huge and colorful rose window, a lively piazza, and white stone streets that can be blinding on a sunny day. We will spend a few days here exploring the city and using it as a stepping stone to villages on the very southern tip of Italy’s boot. We will even learn how to make orecchiette, Puglia’s most famous pasta, in a cooking class where we literally get our hands into the delicious Pugliese cuisine. Every day, I will work with each participant to improve their craft and hone their photographic skills. The workshop is limited to eight participants to make this possible. We will have regular group discussions, critique sessions, and fun assignments. The group discussions will be both in a classroom setting and out in the field. The overall goal is to help you to improve your composition, teach you techniques to deal with dramatic and changing natural light, learn how to tell a story with your images, and guide you as you develop your own visual style. There is plenty of free-time built into the itinerary for you to explore and photograph on our own. I will also be available for one-on-one sessions. Sep 16, 2019 – Day 1 Arrive Brindisi and group transfer to Mazzarelli Creative Resort. We will gather in the late afternoon to give everyone time to check in and freshen up. Introductions will be followed by review of the workshop and expectations. Then we will have our first of many delicious meals in Puglia. Sep 17, 2019 – Day 2 After a group lesson over an early breakfast, we will head out to explore some of the local villages on the Adriatic, stopping along the way to photograph the beautiful scenery, olive groves, vineyards, farms, ancient ruins, etc. We will end the day with a delicious dinner at a farm-to-table restaurant. Sep, 18, 2019 – Day 3 Today is all about meeting the people who make the delicious Pugliese foods – burrata, olive oil, and seafood. We will be making environmental photographs of the makers, and photographing their workshops and olive groves. Sep 19, 2019 – Day 4 We will begin with a morning visit the port town on the Adriatic, Otranto. Otranto is famous for its promenade along the water, a Byzantine basilica dating from 960, and its cathedral that was consecrated in 1088 with the bones of 800 martyrs, and a color mosaic dedicated to the crusaders, many who set out from Otranto across the Mediterranean to fight in the holy wars of the Middle Ages. On our way back, we will stop in the small town of Ostuni that from a distance, looks like a gleaming white tiara on the hill. There will be time to photograph from a great vantage point before heading into the town’s historical center, the ‘centro storico’. Sep 20, 2019 – Day 5 This morning we say farewell to the lovely Mazzarelli Creative Resort. Today we will visit to UNESCO World Heritage Sites. The first is Alberobello, famous for the trulli houses. After a morning of tiny cone-shaped houses, we will and make our way to the UNESCO World Heritage Site of Matera. Matera is known for its ancient cave-houses, called ‘sassi’. After checking into B&B Alle Malve, we will take advantage of the golden sunshine as it illuminates the limestone sassi. The area is illuminated at night, making it a great place to do some night photography. Sep 21, 2019 – Day 6 After breakfast, we will have a walking tour with a private guide who will explain the fascinating history of this town. Following lunch, I will give each of you an assignment, and then the town is yours to explore. Matera is one of the most photogenic and unique towns in the world. After dinner, we will do some more night photography. Sep 22, 2019 – Day 7 Sunrise photo session. You won’t want to miss this as the sunrise provides us with the most dramatic lighting for this incredible town. The photos you make of Matera will be some of your favorite that you make on this trip. Then after breakfast, we will check out of the B&B and drive a short distance to the lively little village of Altamura. The now famous local bread is at the center of a battle between local and global, the traditional and the modern. It’s also a lovely little spot to stretch our legs walking through the centro storico and to taste that famous focaccia before driving to our last base of the workshop, Lecce. We will check into the Palazzo Bignami and have a lovely neighborhood walk before dinner. Sept 23, 2019 – Day 8 After a delicious breakfast at Palazzo Bignami, we will learn some of Lecce’s fascinating history on a private walking tour with a local guide. There will be plenty of stops for photos at points of interest. Then there will be some free time until late afternoon/early evening when we will drive to the ancient town of Gallipoli on the Ionian Sea. Formally a fortified village, it is now quieter and known for fishing. Gallipoli is a maze of narrow streets, little piazzas, and small churches. It is a wonderful place to practice street photography, learning to deal with dramatic light, make portraits, and going deeper with your story-telling. Sept 24, 2019 – Day 9 This is the day that we get our hands dirty. After a free morning, we head out for our private cooking class where we will learn to make Puglia’s most famous pasta the orecchiette, or ‘little ears’. The rest of the day is free to explore Lecce, do some shopping, or edit photos. I will also be available for one-on-one time for any photographic questions that we have not addressed during the workshop. Sept 25, 2019 – Day 10 Today is our final sunrise walk in Puglia. We will photograph the city waking up and getting ready for the day. After visiting farms, villages, and towns, this crown jewel in Italy’s Salento region will complete the story. After breakfast, you will have free time for any last-minute shopping, photo making, and packing. Again, I will be available to help with any editing assistance, one-on-one reviews, etc. This afternoon will be our final critique. We will end with a delicious dinner to say arrivederci to Puglia. Sept 26, 2019 – Day 11 – Transfer to the airport. Have an incredible experience in the Italy’s enchanting and unique region of Puglia. Understand how to make outstanding images during all times of the day, from the soft, morning light at sunrise, the harshest mid-day sun, to the romantic evening golden hour. Learn to creatively frame and compose artistically. Learn how professional photographers apply the techniques of street photography, environmental portraiture, food and still life photography, and landscape photography to create memorable travel stories. Beginners will become better acquainted with their camera’s functions and features. Short daily lessons in the field will cover a different technique to practice. Each lesson is designed to allow the beginner to make beautiful images rather than stressing about the technology. Advanced photographers will strengthen their skills through regular challenges presented to them by the instructor. They will build a portfolio of strong images, focusing on attention to lighting, composition, and finding their artistic voice. Advanced photographers will return home with enough for a small gallery exhibit or self-made book project. Everyone will return home with photographs that go far beyond the usual postcard shots and photographic skills to use on your future travels. Digital Camera with settings to shoot in aperture priority and manual mode. A wide-angle and medium telephoto zoom lens. Other lenses may also be used, including a macro lens, normal (50mm and 35mm) lens. Sturdy tripod for low light image-making and landscape photography. Headlight or flashlight for early morning and night shoots. Laptop with editing software, such as Lightroom or Photoshop for editing sessions and group reviews. Mobile phone with editing app, such as Snapseed. Polarizing and ND graduated filters will be useful as we will be near water on several days and the mid-day sun can get quite bright and harsh. Remote shutter for your digital camera. This can be via a camera app or a physical remote shutter system. This is for low light and night photography. Small camera or smart phone for candid photos. Lens wipes, blower, lens pen, brush, etc. Tools to keep your gear smudge and dust free. Water proof cover. It can rain in Puglia in September, so it’s always good to be prepared. Airport transfers from and to airport in Brindisi on the date of arrival* and departure. Accommodations in selected four or five-star accommodations. (Those in itinerary are subject to change if necessary.) Polignano a Mare – 4 nights, Matera – 2 nights, Lecce – 4 nights. Transportation to all activities per itinerary. Private walking tour of World Heritage Site, Matera. Private walking tour of Lecce. A visit to two UNESCO World Heritage Sites – Matera and Alberobello. An introduction to Pugliese cuisine and cooking class. Entrance fees to all activities included in the itinerary. Some are weather dependent, and substitutions will be made if necessary. Breakfasts (except arrival day) plus eight other meals (dinner or lunch, see final itinerary) for a total of 18 meals. Plus we will have two food-themed excursions, where food will be provided. Guaranteed small group tour (Maximum 8 participants). Expert photographic instruction and guidance. English-speaking local, certified Italian guides on some excursions. Ten days of photographic fun. Airfare to and from Europe/Italy. Tips for the local drivers, guides, instructors. Travel and emergency medical Insurance, which we strongly recommend. Meals outside of what are offered in the itinerary. *Airport transfers on arrival date and departure date are provided as a group transfer and will be made to accommodate the majority of the group. This is done due to the location of our accommodations at the beginning and end of the workshop. Should your flight arrive or depart outside the necessary time, then we can arrange alternative transport for you at your own expense. Please do not make any flight arrangements before confirming with us first as we do not want you to miss out on any group activities and group transportation. Deposit of $1500 is due upon reservation. Final payment is due by June 15, 2019. Final payment is due June 15, 2019. Late add-on if room available: $5699 if reserved after June 15 and before July 1, 2019. Full payment due at time of reservation. A registration form will be provided upon receipt of your deposit. For any cancellations, we must receive written notification of your cancellation to neeley@drown.com. Refunds will not be given due to inclement weather. We are not liable for any additional costs due to delays or cancellations. We strongly recommend trip insurance. Should we need to cancel a workshop due to insufficient enrollment, you will receive a full refund of all payments made within 30 days of workshop cancellation. Cancellation fees are not transferable. A full payment and completed Release and Waiver of Liability Form will confirm a place for you in the workshop. Trip fees are quoted in US dollars and must be paid in US dollars. We expect that each participant is in good health, so that they may participate in our workshops. While our workshops are not strenuous, there is often a considerable amount of walking – anywhere from one mile to several miles each day. Each participant can opt out of an excursion if they are not feeling up to the activity level of that day and we will seek to find or suggest alternatives, if possible. Once a trip has been confirmed, medical circumstances will not be considered as exceptions to our cancellation policy. We cannot assume responsibility for medical care or for special dietary requirements. Insurance – We strongly encourage that each participant purchase travel insurance. A Release and Waiver of Liability Form, without modifications, must be signed by each participant prior to EACH workshop. Otherwise, participation will be declined without refund. We do not accept any responsibility for losses or additional expenses due to delay or changes in air or other services, weather, strike, war, quarantine or other causes. All such losses and expenses will be borne by the participant. By agreeing to this waiver, you also agree to allow the staff of 2 On The Run Workshops to photograph you during your participation in our workshop, and to use the photos and/or video in our promotional materials and campaigns without remuneration or compensation. All photos taken by 2 On The Run Workshops instructors and/or staff are the sole property of 2 On The Run Workshops with full copyright and intellectual property rights. We reserve the right to 1) cancel any workshop prior to departure, in which case full refund of the workshop fee will be given 2) substitute any hotel in a similar category should this be necessary 3) substitute any instructor 3) substitute any excursion if necessary. None of which are acceptable for participant cancellation. After processing your deposit to hold your space in a workshop, you will receive a Registration Form, confirmation that your deposit has been accepted and a Release and Waiver of Liability Form. This Registration Form will also have information about how to submit the final payment for the workshop. Please complete the Registration Form and the Release and Waiver of Liability Form and return it with your final payment by the given deadline. Once fully registered and about 60 days prior to the workshop start date, you will receive the logistics for the workshop, a reminder of suggestions on what to bring or not to bring, and a daily schedule. The final time-line/schedule of all activities will be supplied at the welcome meeting on the first day. This trip is made possible thanks to the hard work on the ground in Italy by Ashley at L’Esperta.